We will transfer your home movies DVD. • Your DVDs will be labelled in accordance with the labelling on your tapes or labelled according to your instructions. 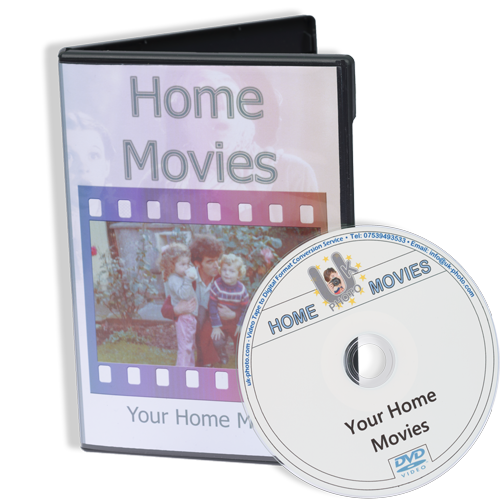 • Your DVDs will come in a case that is also labelled and decorated with a still frame from your video footage. • You can instruct us to combine tapes onto a single disc, or record each tape to it's own disc; the price is the same, as you pay for each tape submitted rather than per DVD. • Extra copies of your DVDs can be purchased for £4.00 each. With the MP4 service, we will convert your tapes to MP4 files. • By default, your files will be saved to one or more discs, though for £6, we can supply them on a USB memory stick. • For orders of six tapes or more, you receive a Free USB stick, though we can still save them to disc, if your prefer that option. Also, with orders of six tapes or more, you can supply your own storage device and thereby receive a £6 reduction in the cost of your order. • Our service should only be used for home movies rather than TV recordings (which are subject to copyright protection). • All 8mm tapes are supported (Video8, Hi8 and Digital8). • SP (Standard Play) and LP (Long Play) recordings are supported. • PAL, and American NTSC recordings are supported. Bring your tapes to us at the address below. Post your tape or tapes to the address below. If you choose to post your tapes, please ensure that you have packed them securely. If you choose to bring your tapes to us in person, please take note of our opening times below. Upon completion of your order we will send you a link, via email, to our secure payment page allowing you to pay for your order using :debit/credit card or PayPal. Postage and packaging costs £3 for all orders returned by post. If you have any questions regarding our 8mm video tape transfer service, please enter them in the box above. 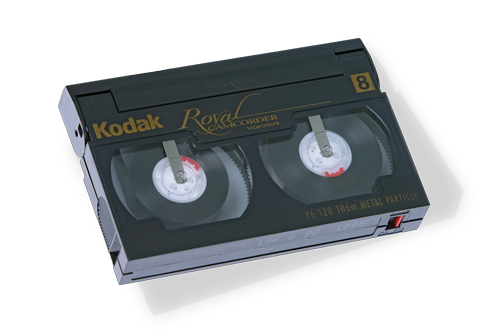 If you need us to transfer video tape to DVD, just bring them to our shop/studio in Reddish, Stockport.